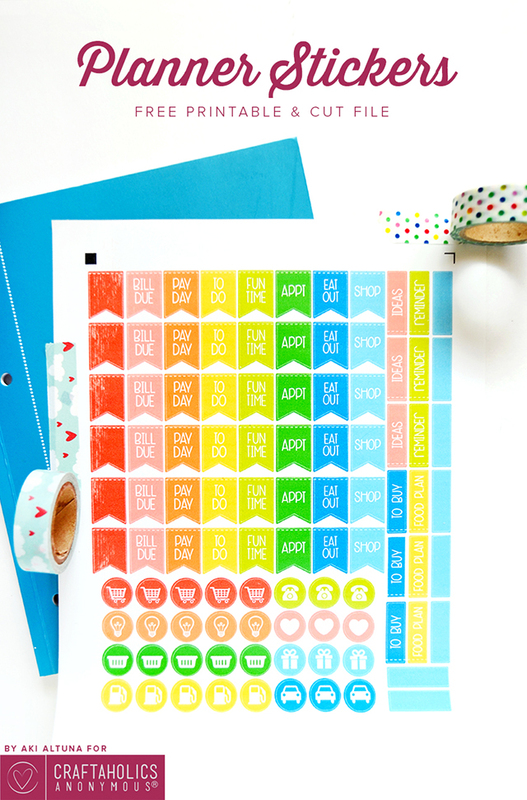 I am rapidly falling into the planner craze - I've just purchased a planner for next year and I'm making loads of stickers. 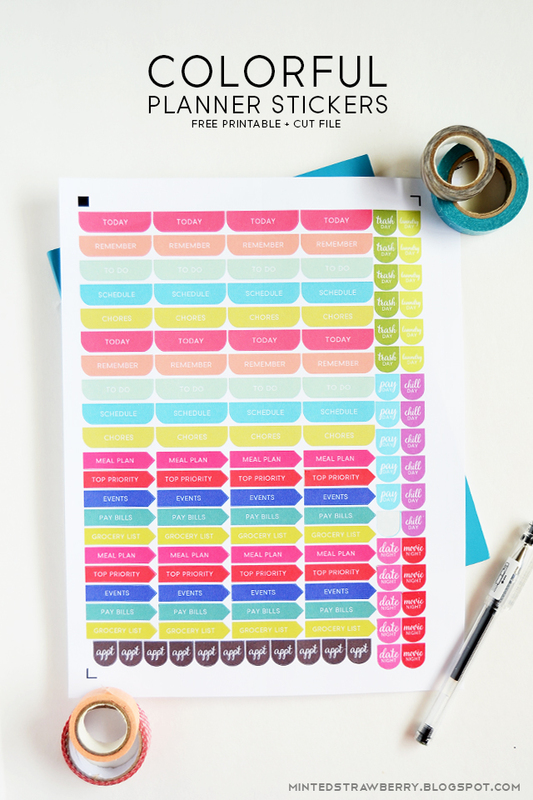 I asked some planner groups what labels they would like for printable stickers, and made it into a free printable to share with you guys. If you're looking for good sticker paper, I've been using this brand of sticker paper (CLICK HERE) for the past while and they have been great! They're matte and peel easily, but they aren't restickable. Good news is they're relatively inexpensive for a pack of 100! It's so easy to make - just print it and cut it using your Silhouette or even a pair of scissors. A Silhouette isn't necessary but it just makes the cutting process a breeze! 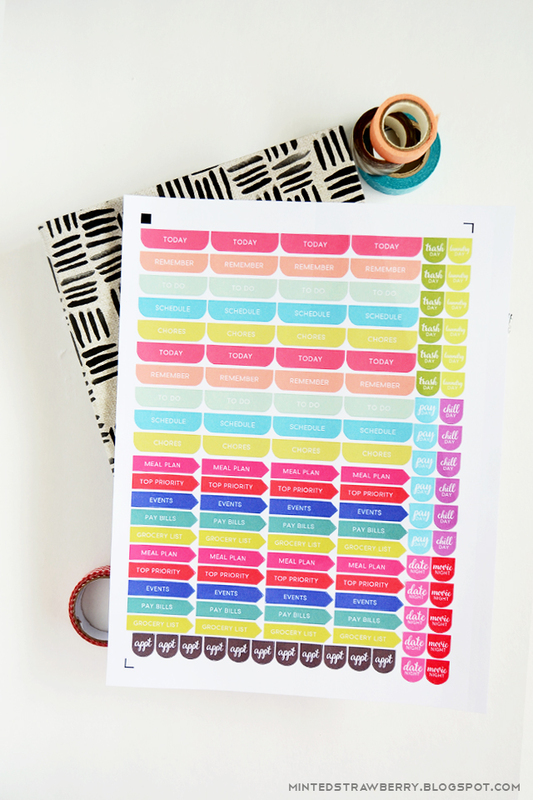 The printable comes in tons of different colors, color-coded into their specific labels (I am a nut like that). The headers are roughly 1.5" in width, while the half circle tabs are 0.5" in width. I tried to fit tons of labels on a printable page so the sticker sheet won't be wasted. 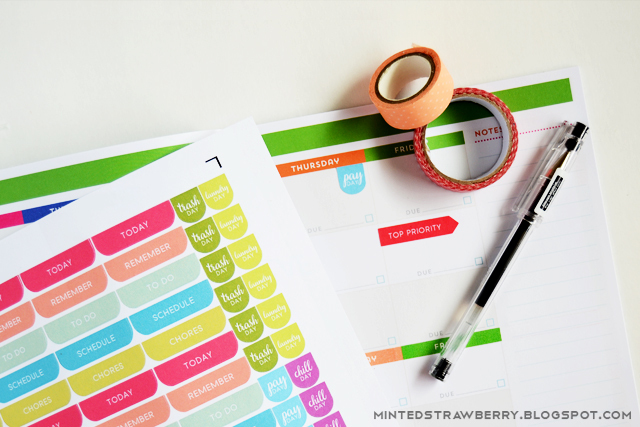 Looking for another planner printable? How about this one that I shared over at Craftaholics Anonymous a few months ago? So there you have it - some more planner goodies for you folks. 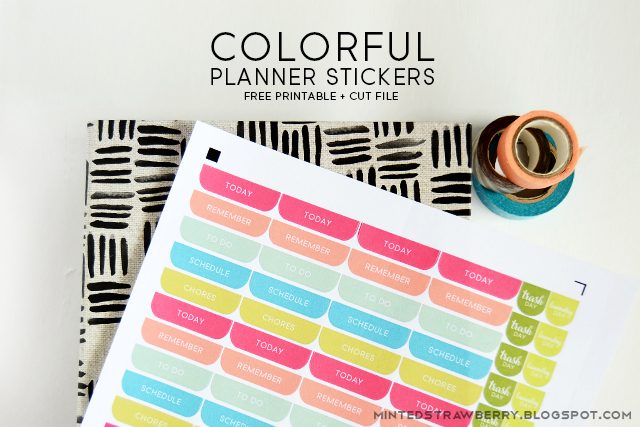 Please note that this file is for personal use only - and of course, I would definitely appreciate it if you let me know what types of planner stickers you're looking for! I do want to create more sets. :) Enjoy and happy crafting, folks! THANK YOU!!! I went through about 50 choices and yours suits my style the most! You are welcome - I am glad you love them! :) Happy planning! !